By now you should have heard about the new Sparkle and Shine challenge blog. This is for all you who love sequins. 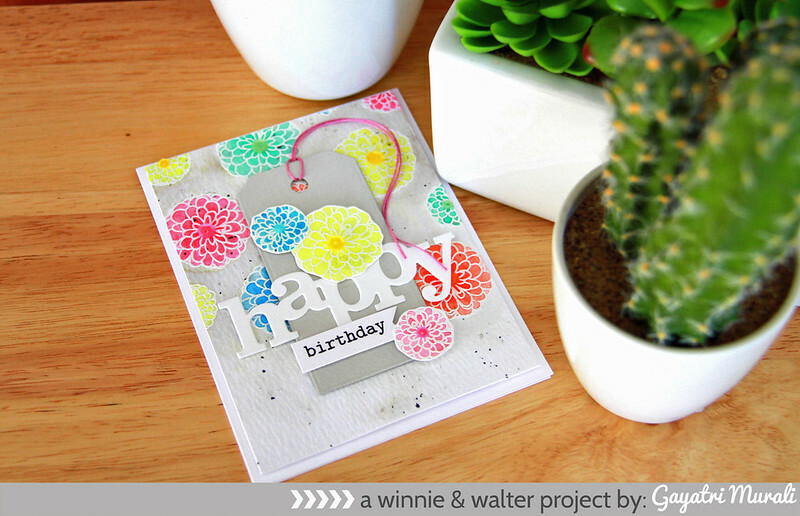 Today I am sharing my card for their second challenge as design team member of Winnie & Walter. Winnie & Walter are sponsoring the second challenge and it is a sketch challenge. 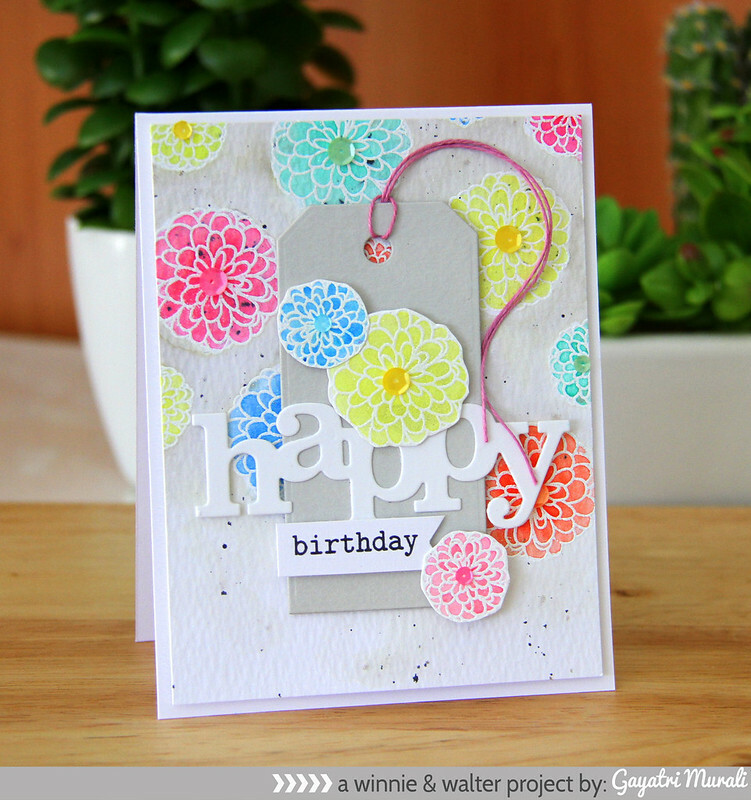 I have used the flowers from The Party stamp set to white heat emboss on watercolour paper. Then watercoloured them using Zig Gansai Tambi water colour. I also repeated this process on a separate piece of watercolour paper and cut three flowers out. 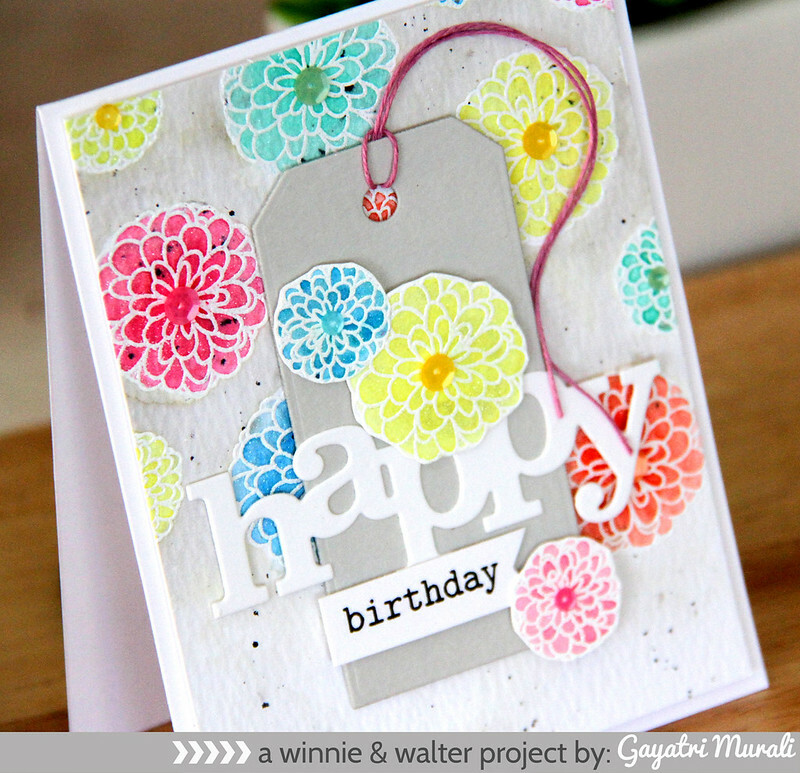 For the sentiment, I added the tag in the middle with die cut the “Happy” from Winnie & Walter. Stamped the smaller sentiment on a strip of white card stock and adhered using foam adhesives. I then framed the sentiment with the cut out watercolour flowers. Finally, I added Pretty Pink Posh sequins for each of the watercoloured flowers. Check out Sparkle and Shine Challenge blog for more inspirations from Winnie & Walter design team and Sparkle and Shine challenge design team. so pretty Gayatri. Your watercolour flowers are gorgeous. This is such a fun card Gayatri! LOVE all the colors!! This card is so lovely, Gayatri! Love the dimension, color and use of sequins are awesome.